Lots of takeaway food and drink packaging is made using expanded polystyrene (EPS), more commonly known as polystyrene or the trademark Styrofoam. It is used because it is a strong and versatile material which is very good at keeping our food and drink warmer for longer. Alternative, non-EPS food or drink packaging, such as takeaway coffee cups, are often made from a mix of paper and plastic. Whilst these types of packaging are really good for our takeaways, they are not good for our environment. This is because they are either difficult or impossible to recycle due to their mix of materials or contamination from food and drink, and this packaging does not naturally breakdown so will remain in our landfills and natural environment for over 500 year, and maybe forever. There are issues with expanded polystyrene (EPS) throughout its life-cycle. EPS is made from petrochemicals, or fossil fuels, and styrene, a potential carcinogen , which can be released into the atmosphere and natural environment during the life of the product, resulting in environmental pollution and occupational health exposures. EPS is highly flammable and hazardous if not stored properly. 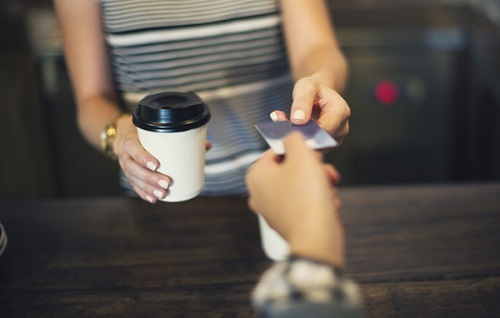 Once EPS is made into an item such as takeaway cups and boxes, the styrene can leach out  and be ingested by the consumer and animals in the environment. As polystyrene breaks into small light pieces it can easily get into the environment and be confused for food and eaten by wildlife. EPS products are not easy to safely or responsibly dispose of, they often end up in landfill or being incinerated. The low weight of EPS makes it uneconomical to store and transport for recycling, and even where recycling facilities are available, much of the material will have been contaminated by food, drink and grease making it unsuitable for recycling as EPS needs to be clean. 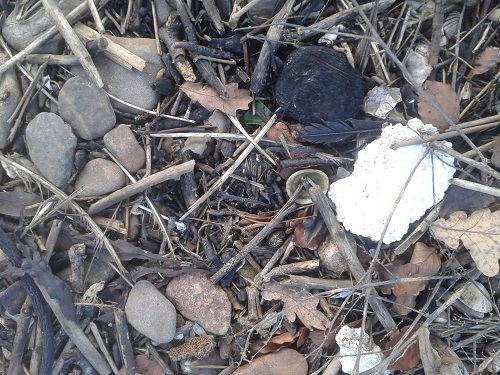 EPS also has an environmental impact as a component of terrestrial and marine litter. Surveys by the UK’s Marine Conservation Society (MCSUK) have shown it to be a consistent component of coastal litter over the last decade . Additional compounds added to EPZ during production, as well as styrene, have the potential to enter the environment either by leaching from landfill or through the degradation of litter on land, in waterways and in the sea . EPS and other plastics in the marine environment also adsorb pollutants from seawater, which creates an additional hazard to the additives already present and their degraded products . What is Fidra doing about this? At Fidra we are looking into alternative options to the current materials being used in takeaway food and drinks receptacles, focusing specifically on the town of North Berwick where we are based. Read our blog to find out more. By working alongside local businesses, councils and community groups, we hope to find a suitable scheme that reduces, and indeed eradicates, these unsustainable materials being used in the town for takeaway items. One option is for North Berwick to become an exemplar in using compostable food packing. Compostable products are made from a wide variety of raw materials, such as corn-starch, which are often waste products themselves. 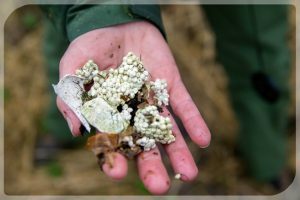 If disposed of correctly – in a food waste stream or through industrial composting – these items will biodegrade and will not be contaminated by leftover food. Although there are significant logistical challenges to this option, if set up well and with commitment from local businesses, communities and tourists alike, we feel that this would be a suitable and viable option for North Berwick. 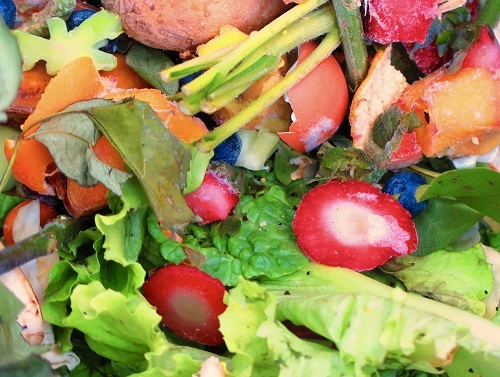 The Waste (Scotland) Regulations 2012 require that from the end of 2016 all business and organisations that produce over 5kg of food waste a week in urban locations, must segregate this as a separate waste stream. In time, this will include any biodegradable waste being sent to landfill from 2020. Therefore, establishing an effective system in North Berwick as soon as possible is something we are excited to be a part of. To help North Berwick move forward and be able to embrace these changes, Fidra is working with local businesses, associations and councils to consider how they could transition away from the use of non-recyclable in take away food packaging, and encourage the exploration of alternative options. The community are establishing a Steering Group made up of a variety of different stakeholders who will help make decision on what options to trial within the town. If you would like to get involved in this steering group, please contact info@fidra.org.uk. Vegware’s Close the Loop system, which collects food waste and compostable packaging to convert to compost to be used on soil, has been taken up by two local businesses, Steampunk Coffee Roasters and Archerfield Walled Garden. Both have found that using the system has encouraged them to examine their waste streams and make changes that have saved costs. Keep It Green for Oxfordshire sells reusable cups through Beanbags Coffee company and all profit goes towards supporting environmental initiatives. Cafes and restaurants who buy the reusable cups receive a free window sticker to show that they support the country-wide campaign. New York has become the next city to announce a ban on the use of single use EPS items. From January 2019, a law preventing the use of polystyrene products will come into effect, banning food service establishments, shops and manufacturers to possess, sell or use EPS products, such as food and product packaging. Since 2009, when Seattle’s ban on the use of EPS was introduced, the city has continued to lead by example on the battle against single use food packaging and items. A further ban on non-recyclable and non-compostable food packaging was brought into effect in 2010, and the recent introduction of a ban on all plastic straws and cutlery in July this year has demonstrated their continued commitment. 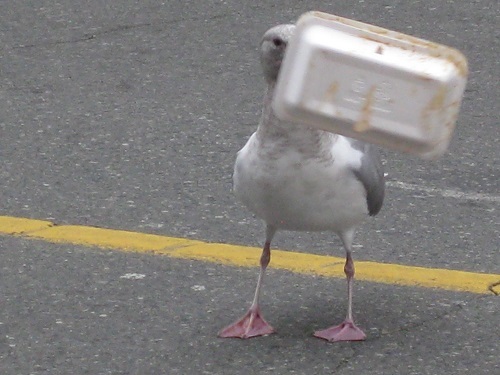 The City of Seattle request that all food service businesses use either compostable or recyclable alternatives, provide suitable bins for staff and customers to dispose of these products in, and are signed up for their waste to be collected by a collection service provider. 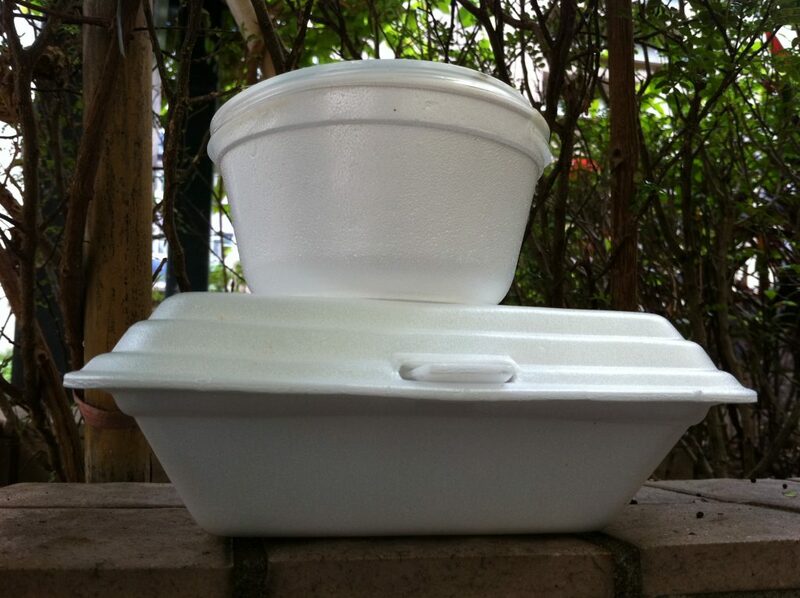 We have written a Discussion Paper on compostable alternatives to polystyrene food packaging. Read the summary of our Waste Expectations: Trash Talk with Businesses event. We are looking to work with local businesses, organisations and volunteers that want to see a change in North Berwick through transitioning to using an alternative to the polystyrene food and drink containers that are on offer from certain retailers. Or email info@fidra.org.uk for more information. Manalac et al(2010) Leaching behaviour of sulfonated polystyrene (SPS) from recycled Styrofoam. International Journal of Environmental Science and Development, 1(4), 368-370. Rani et al (2014) Hexabromocyclododecane in polystyrene based consumer products: An evidence of unregulated use. Chemosphere, 110. Takada H, Mato Y, Endo S, Yamashita R, Zakaria M (2006). Pellet Watch: Global monitoring of persistentorganic pollutants using beached plastic resin pellets. Marine Pollution Bulletin, 52 (12), 1547-8.